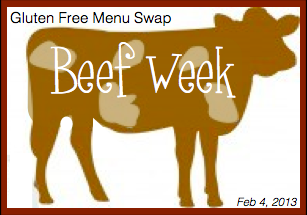 This week Heather at Celiac Family is hosting the Gluten Free Menu Swap. The week’s theme is Beef. Our family became the proud owners of a quarter of a cow worth of grass feed beef a few weeks ago. That turned out to be 137 1/2 pounds of beef. 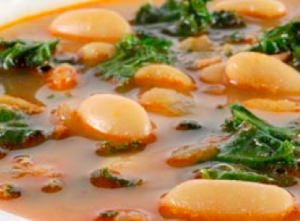 Good thing I have a lot of gluten and dairy free beef recipes on my blog! We particularly like Beef Empanadas (a little work, but so worth it! 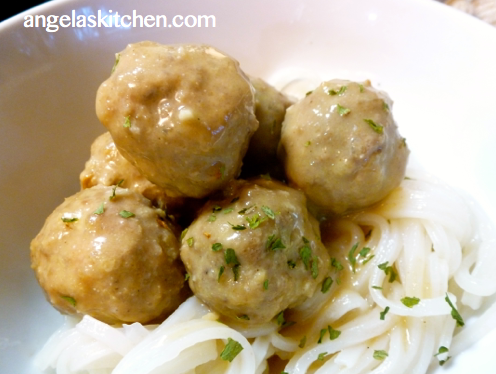 ), Enchilada Meatballs, and Korean Style Shredded Beef Tacos. What is your favorite recipe using beef? 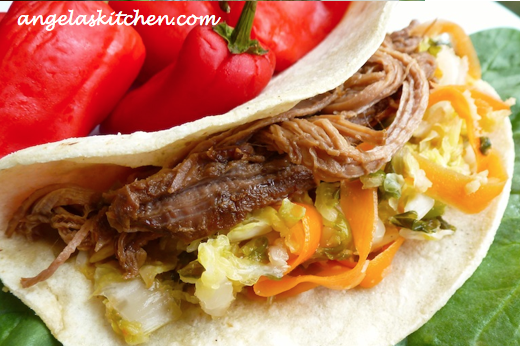 Korean Shredded Beef Tacos cook up in the slow cooker, for a fun and easy fusion meal. Freezer cooking plan for the week: I will be making a double batch of Vegetarian Dirty Rice for lunches. After cooking it up, I’ll portion it into lunch sized containers before freezing. I need more lunches stored up, more WARM lunches, I’ll also be making Beef and Butternut Squash Stew to also package into lunch sized portions. 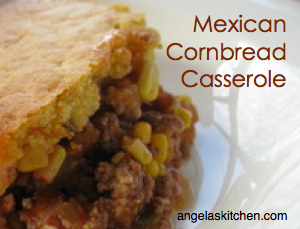 Mexican Cornbread Casserole is also making it’s way to my freezer this week. On to the menu plan! The week’s breakfast options: Fruit-on-the-bottom Dairy Free Coconut Yogurt, Pumpkin Spice Bread, and various fruits. The week’s lunch options: Nut butter or roasted chicken sandwiches on Texas Roadhouse Road Clones (made dairy free), Vegetarian Dirty Rice, hard boiled eggs, and various fruits and veggie sticks. Printable grocery list for this week’s dinner menu. For the freezer: Make a double batch of Beef and Butternut Squash Stew. 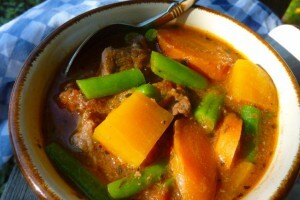 Allow remainder of stew to cool while eating dinner. Package the second batch as meal by placing into a gallon sized freezer bag OR package the stew into lunch sized portions. Remove as much air as possible, seal, label and freeze. For the freezer: Make a second Mexican Cornbread Casserole while assembling the one for dinner. Do not bake the one for the freezer. Wrap well, removing as much air as possible, seal, label and freeze. Need more menu planning inspiration? Head over for Menu Plan Monday at Organized Junkie. 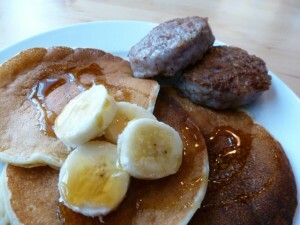 For an awesome month long gluten free money saving menu, see Melissa’s December GF menu plan at Stockpiling Moms. Ahhh! I'm so happy I found you! My 3yo is 100% gluten free as of Thursday and the rest of us are slowly transitioning to eat the same things he does. I'm very happy I found your blog. I am so glad you found me! I hope you find some yummy things that whole family can enjoy. Let me know if there is anything special your little one would like to eat if you can't find it on the blog and I'll see if I have a recipe for it. Welcome!